Community members are being asked to weigh in on design concepts that could potentially improve the flow of traffic on a stretch of Interstate 10 in Tucson and the Barraza Aviation Parkway. The Arizona Department of Transportation is holding a public meeting for Pima County residents to ask questions about and comment on improvements to I-10 from the I-19 interchange to Kolb Road as well as State Route 210 — Barraza Aviation Parkway — which runs east of downtown to the west side of Davis-Monthan Air Force Base. 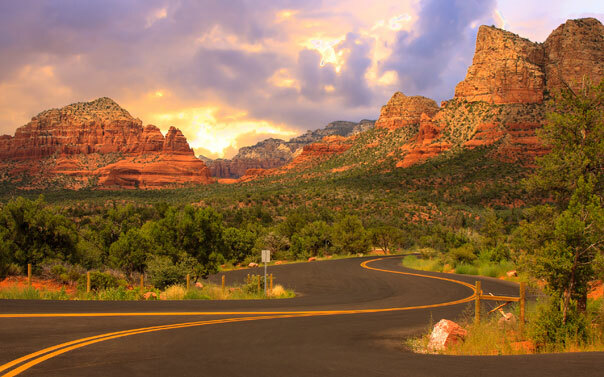 Over the summer, the Arizona Department of Transportation (ADOT) installed an adaptive signal timing system on State Route 77, which is the primary north-south route connecting Tucson and Oro Valley and serves approximately 60,000 vehicles daily. The technology adjusts the timing of traffic signals based on the number of vehicles on the road and their speed. It can modify the length of signal cycles, including left turn arrows. Arizona law does not require adults to buckle up in the back seat. And it is a “secondary enforcement” state, meaning that while police can cite a driver or front-seat passenger for failing to wear a seat belt, they can’t pull them over for it — they have to have stopped them for something else first. This is a drill, a training scenario on how vehicles in a minor-injury crash are pushed, pulled and dragged. "I've been doing this for about 10 years every day on my way to work, it's probably at least once or twice a month I'm removing vehicles from the lane in a construction zone," said Matthew Anderson of ADOT. Anderson is one of those guys who will come to your rescue. He might get there before DPS or police. "It can be very intimidating with the traffic whizzing by," he said. A CBS 5 Investigates analysis of hundreds of thousands of speeding tickets from Scottsdale to Peoria, Mesa to Phoenix and freeways in between show that the speed at which drivers are most likely to receive speeding tickets varies widely, depending on the agency patrolling the roadways. The highest number of speeding tickets issued in the City of Phoenix so far in 2018, were issued to drivers who were traveling at 11 miles per hour over the speed limit. In Scottsdale, the magic number was 15 miles per hour over the limit. Lots of people are hitting the road this afternoon for Thanksgiving, and according to data, Arizona drivers will be paying higher gas prices than most of the nation. Arizona State University has expanded its program that offers free degrees to employees of a company to the largest ride-sharing app in the country: Uber. Uber and the university announced Thursday that drivers will be able to pursue higher education through the pilot program by taking classes online.